Trying to net your son’s first big brown – and causing him to lose the fish – may require psychotherapy for him later in life. We all have a fly fishing net, and we probably use it more or less, depending on the size of fish or where we fish. In this episode on how and when to use a fly fishing net, Steve confesses how his patchy netting skills ruined a father-son moment on the river. How often do you use a net when you fly fish? And what kind of net do you use? We’d love to hear about your gear and why you chose your fly fishing net. 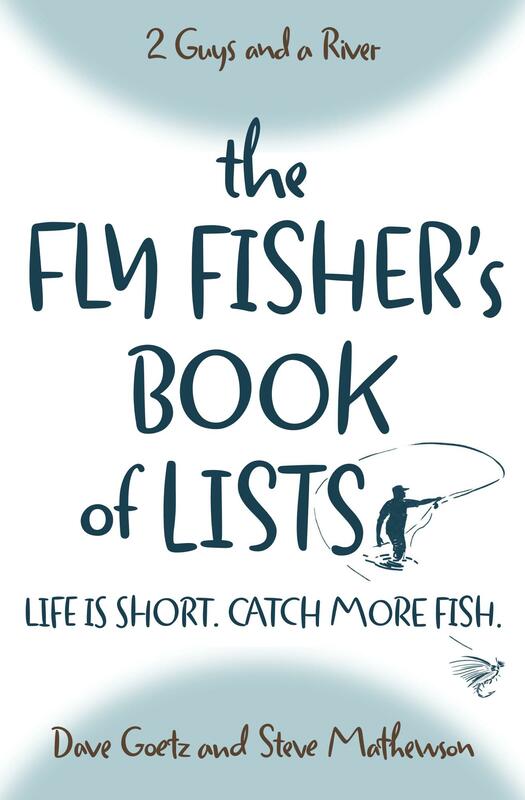 We’ve published a book called, The Fly Fisher’s Book of Lists. We like to say it is a book of bite-sized snacks. It’s an entire book of lists. The goal is to help you find practical help quickly and in an easily digestible format! I have recently starting using a “catch and release” net. The net portion of it is made of rubber, and there are large holes in the webbing, and so far I like it. I hope it is more humane for the fish, but it is more humane for me because my older net with tiny holes in the webbing caused me much pain every time a trout spit out a size 18 zebra midge, which got so lodged/stuck in the webbing that I had to cut it off in disgust. I also use a vest for the reason of the net. I had used a “fanny pack” and I liked the simplicity of it, but the net was always getting in the way. The spring I fish on has a decent drift, so it would be 5 feet away from me in the drift when it was time to net a fish. I use the large pocket on the back of my vest to hold it, and replace after each catch. And on hot days, the back of the vest gets wet and helps cool me off! !